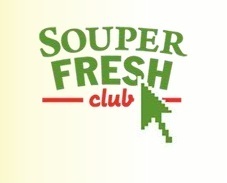 Join the Souper Salad Souper Fresh Club and you’ll receive a coupon for a FREE meal good for the week of your birthday. Happy Birthday! I appreciate that this info is offered, but would it be possible for contributors to share WHERE these restaurants, etc. are located so time is not wasted finding out it is not a national chain, etc. August and the free birthday coupon!!!!!!!! I work for Souper salad in Waco, TX. We changed the deal to a 59% off buffet about a year ago. It’s still a link through the Souper Fresh Club. But instead of being one time use it is good for one week from time of receipt of the email. It also has various coupons that go out throughout the year. IE: we have a but one get one free for valentines day.